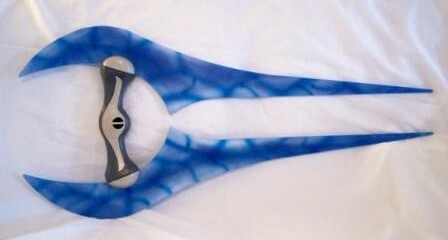 We are longer longer producing finished energy swords. 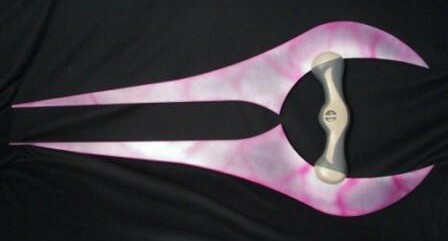 However, we are selling off the last two precut blades (below). 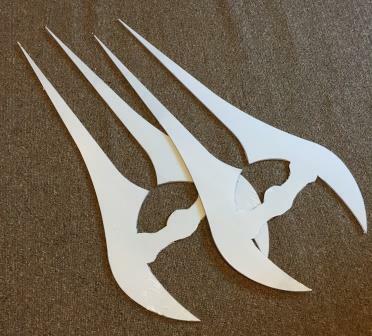 These are made of CLEAR precision cut polycarbonate (the white is masking) and measure about 29" in length.